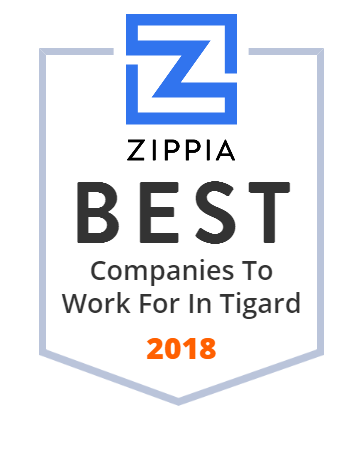 We hand-curated a list of the best companies to work for headquartered in and around Tigard, OR using data on salaries, company financial health, and employee diversity. PacStar is a privately owned developer and manufacturer of field communication and information technology infrastructure hardware and software based in Portland, Oregon. Artistic Auto Body was founded by Terry Mostul in 1982 and to this day Terry credits his blacksmith grandfather with instilling in him a passion for quality, doing it right the first time, and making sure the customers are happy because they are why his business exists. Terry started Artistic Auto Body's first repair shop in Beaverton, Oregon. Rutherford Investment Management is a multi-capitalization growth stock manager, but the firm does offer balanced accounts for those clients seeking diversification in domestic and international fixed income securities and international equities. Portfolios are continually monitored for compliance with their client goals and investment objectives. InFocus Corporation is an American privately owned company based in the state of Oregon. Leif's Auto Collision & Service Center is the Northwest's leading auto body business. Leif 's is the only collision repair shop in the Northwest that has built itself exclusively on reputation and customer referrals - never by making a sweetheart deal with any insurance company. Leif's does high-quality work and gives them true value for their money. Their goal is not only to make them happy but to take the hassle out of repairing or servicing your vehicle. Cascade Management, Inc. and its principals began providing property and asset management services in 1974. They continue to manage the majority of properties from their original portfolio, which has grown substantially over time. Through their growth, the commitment to their properties, owners, and employees remain fundamental to their values. Closets To Go is the industry leader in custom closet design and customer satisfaction. January 2015, marks our 30th year serving the greater Portland metropolitan area. They are also pleased to announce their 8th year serving customers in all 50 states and Canada through their internet department. Closets To Go prides themselves on providing quality products at a competitive price. There are many families that take pride in a long-held tradition of occupation. For the Fullharts, that tradition is helping people and businesses with insurance. The Fullhart family bought an insurance agency in their quaint, coastal hometown of Reedsport, Oregon, in 1966. In fact, they can still find Fullhart Insurance of Reedsport on Fir Avenue, the same street where they've always been. Discover Today, their corporate headquarters, as well as the company's largest branch, are located in Tigard, Oregon. The Tigard location includes a stunning designer showroom, The Fixture Gallery, featuring American Standard, DXV and Toto, as well as other fine manufacturers of quality kitchen and bath products and accessories. Their other Fixture Gallery locations include Bend, Eugene, Salem, Kennewick, Pacific, Seattle, Boise, Coeur d'Alene, and Sandpoint. Multi-Craft Inc. was founded in 1946 four WWII veterans. Each possessed specific skills in different areas for metal, leather, plastic, and wood. Hence the name Multi-Craft. Over the years, one man - Emil Lachenmeier - with an optimistic vision of the future and a passion for his field of plastics, became the major stockholder in the company and renamed it Multi-Craft Plastics. WPI is one of the largest and most reputable interior/exterior contracting firms in the Northwest. WPI provides superior contracting services for drywall, metal studs, acoustic ceilings, wall panels, fireproofing, firestopping, stucco, and painting. They also provide contracting services for doors, frames, and related hardware. Oregon Human Development Corporation (OHDC) is a not-for-profit human service organization that has been providing services for their farmworkers and disadvantaged individuals throughout Oregon continuously since 1979. The services include support, referral, advocacy, resources, assistance, and education. These programs are funded through a variety of contracts with federal, state, local, and private funding sources.